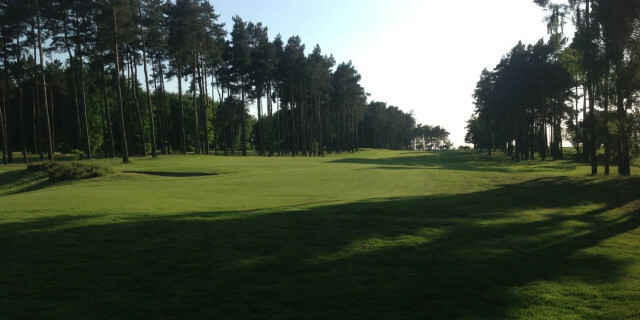 Forest Pines Golf Club - with its aligned Hilton Double Tree Hotel - is a Highly Recommended venue on Golfshake, and Richard Moore has supplied this detailed review from a recent visit to North Lincolnshire. It was easy to access off the motorway network. It took me just over two hours from the Midlands and that was a poor journey with heavy rain. 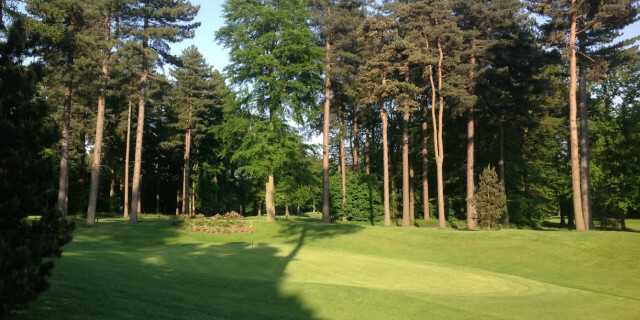 Forest Pines is just a stone’s throw from the M180, only ten miles from Scunthorpe. The approach is reminiscent of arriving at The Belfry with a nice modern hotel that greets you. When I arrived, there was a funeral service for David Middleton who I found out designed and constructed the course back in 1995. And what an amazing legacy he left behind. He had the foresight to build the entire course on a layer of sand and that intelligent idea really paid dividends as I played on one of the wettest days. There was standing water everywhere, but it drained away incredibly quickly, and the fairways were firm and no soggy patches, which was incredible considering the downpour we had all morning. The golf course is basically right around the back of the hotel. It was a bit confusing when it came to parking your car, but they have a tablet to register your vehicle when you enter the building. The pro shop and 19th bar are basically at the rear and within the hotel complex. The upstairs bar has impressive views. 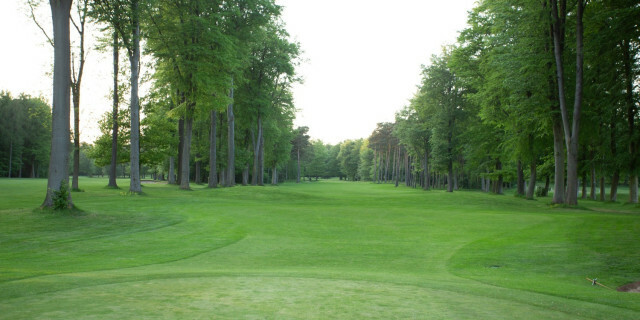 You look down the 1st hole of the Pines course and the 9th green of the Forest - both lined by beautiful straight lines of pine and beech trees – impressive. Leaves you with the thought that you definitely need to be straight today! 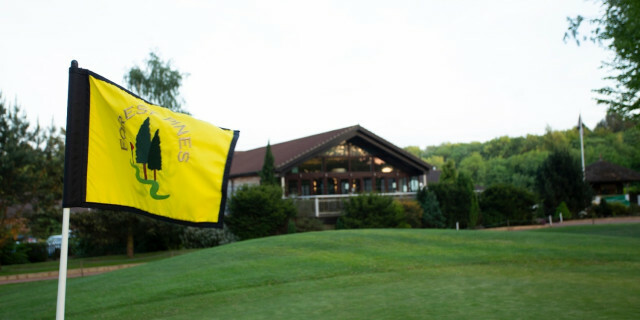 The course charges £60 at the weekend, but there are Teeofftimes offers and you can get a round from as little as £20. This venue has three loops of nine. 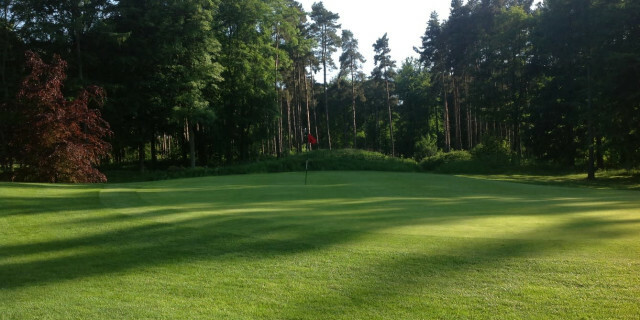 Only the Forest (par 36 - 3093 yards of yellows) and Pines (par 37 – 3272 yards) were open for our visit. So, a total par of 73 (SSS 72) measuring 6365 yards is not that long when you consider that extra par. 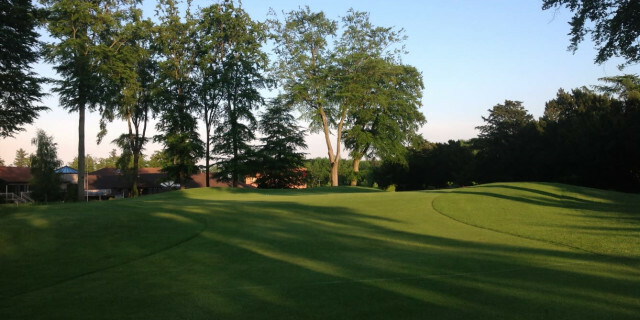 It doesn’t need to be long, as the tree-lined course makes it a tough enough test. Considering there were five par 5’s averaging 465 yards (the longest being 487 yards). And, only one par 4 over 400 yards (ninth on the Pines – my last hole measuring 430). It is certainly not a long bombers’ course. It is a strategic layout! 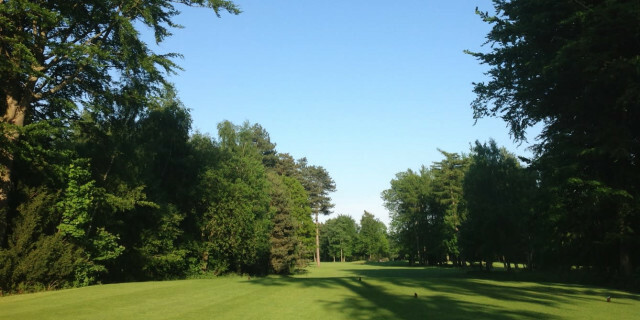 A nice opening hole, that slightly doglegs left around a large tree in the left centre of the fairway. One of the first things to strike you are the bunkers which have large heathers growing on the top side of the bunkers that you absolutely do not want to be in. You’d be lucky to get your ball out of that stuff - and where would your stance be? So that adds to the hazard of the fairway bunker, but is incredibly picturesque. My favourite driving hole. The nicest tee shot awaits - semi-blind with all the heather and bushes in front of you makes it quite intimidating, and the tall trees halfway down the fairway really focuses the mind. A stunning hole. The green is full of undulations and quite a spectacle on its own! 459-yard par 5! Really? But blind to your tee shot is a small ditch/water hazard running right down the left side of the fairway narrowing your second shot, and runs in front of the green for anyone daring to go on in two. So, a tough hole all round. Beware the two bunkers that lurk at the rear of the green – running the whole length of the back edge of the green. Don’t be long. A cracking par 4. You cannot see the green as it is a right-angle dogleg left from your landing zone. Only 320 yards but it is all about landing your drive short of the fairway bunker (another of those heather-lined bunkers which you simply must avoid). Then play up to a slightly elevated green again with great undulations. If you are arrow straight and long you can take this 487-yard par 5 in two. Simply cut through the trees it is a nice hole with an interesting sunken (small) green which is out of sight from the fairway. A delightful par 3 (151 yards) over a pond. With the sheer amount of flora around (I’m guessing Rhododendrons!?) this beaut is going to look more like Augusta in the spring time! Take enough club as the green slopes from back to front so don’t be shy! A nice dogleg left which slopes down the hill towards the green. Don’t be long as there is a steep drop off to a green which has been built up at the back. A 145-yard par 3 well bunkered to the front - so club up. A nice straight par 4 back to the clubhouse down a tree-lined tight fairway. Don’t be too left on your approach as the trees will block out your approach as you get closer to the green. The impressive clubhouse balcony is in full view here and is reminiscent of a Swiss ski lodge more than a hotel - very nice! 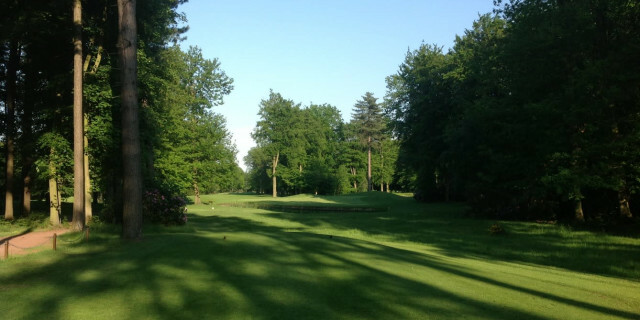 Just a few yards from the Forest 9th green, you are playing back down the tree-lined fairway on a relatively easy par 5. Again, don’t go too far left or you will be blocked on your approach to the green by a tree. A short walk from green to tee to find the 2nd through the trees and down a track. A pleasant par 4 tee shot awaits, the first dogleg left-to-right (there are none L-R shape on the Forest). A long hole for the non-fader made harder by the elevated green well-guarded by bunkers. 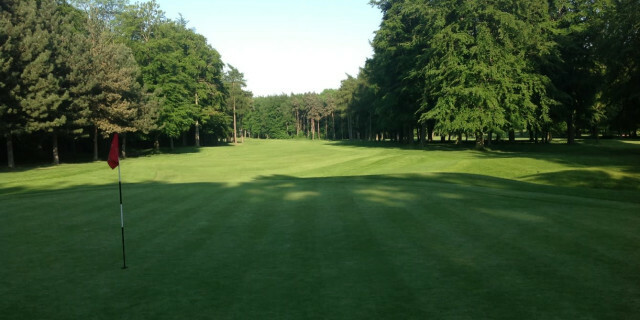 The second longest par 3 (memories of the Forest of Arden here) measuring 175 yards - nicely framed by trees. A quite intimidating tee shot as there is a strong dogleg to the right which aligned with the trees on the right makes the tee shot quite imposing, but a straight tee shot only leaves a mid-short/iron to large green. A quite ordinary par 4 (not something I have said yet) but this is just the build up to two cracking holes to follow. A cracker of a par 5 that doglegs uphill and to the left. Beware the fairway bunker at 190 yards. Longer hitters need to be mindful of the lake that sits bang in the middle of the fairway which you can’t see from the tee, but most players will cross this with their second shot. A lovely hole with trees down the right (runs adjacent to the arrow straight 5th on the Forest). The best and longest par 3 on the course at 178 yards. Wide open but a whopping big lake in front which is impossible to block out of your mind. Large bunkers surround the green, so this is not for the fainthearted! It’s a gem. This 466-yard par 5 has been remodelled. Originally it had a tree in the middle of the fairway to navigate, but this has since been lost (Augusta/Eisenhower tree style) to a storm and in its place they have popped in a huge number of fairway bunkers to really focus your mind. So, this is not a hole for the big dog for most players. I have never seen so many bunkers on a course. The number and size of those laying short of the green are a sight to behold. 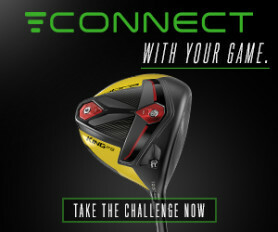 Anyone going for this in two is a brave golfer. A beast of a hole without being long! Doesn’t look much from the tee - a gentle dogleg left back to the clubhouse/practice putting green but ‘hell awaits!’ There is a nice big pond you can’t see that lies short left of the green so beware. Trees down the right make it the toughest approach shot on the course. At 430 yards any par here deserves to be the winner! A well-earned drink on the veranda overlooking the course is a must. The views are lovely. Overall, the course was one of the best I have played. Parts of the heathland Forest course reminded me of North Hants, and some of the pine tree-lined holes are like Bearwood Lakes - which are both exceptional.